An Aberdeenshire man has been fined £3,300 for treating two horses so badly that they had to be put down. William Cassie has also been banned from keeping horses for five years following an investigation by the Scottish SPCA. 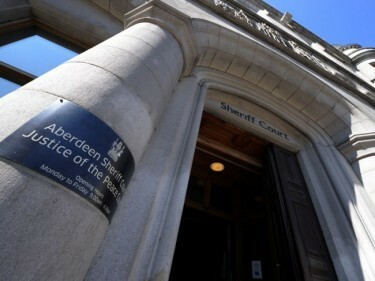 The 62-year-old, of Portstown Farm in Inverurie, was sentenced at Aberdeen Sheriff Court after being found guilty of two counts of causing unnecessary suffering to his animals. Scottish SPCA senior inspector, Alison Simpson, outlined the “unacceptable and avoidable” agony the two creatures were subjected to. She said: “The first charge was dealt as Cassie failed to provide farrier and subsequent veterinary treatment to an overweight Mouse Dun Highland Mare which, upon a vet examination, was found to be acutely lame. “It was noted by the attending vet that there was evidence of chronic foot problems with severe overgrowth of the hoof wall. The second charge concerned a black Shetland pony which also had to be killed. Ms Simpson added: “The pony had suffered a compound fracture to his leg, with the fractured bone protruding from the wound which had been untreated prolonged period of time. “Sadly, due to the severity of their injuries a decision was made by the attending vets to put both ponies to sleep. “To find ponies suffering to the extent that these two were is totally unacceptable and avoidable through routinely inspecting animals. “We welcome the fact that Cassie has been dealt with by the court and the sentence handed down.